Do you have big dreams for the future and a longing to start your own business? If so, you may benefit from seeking the help of a psychic. 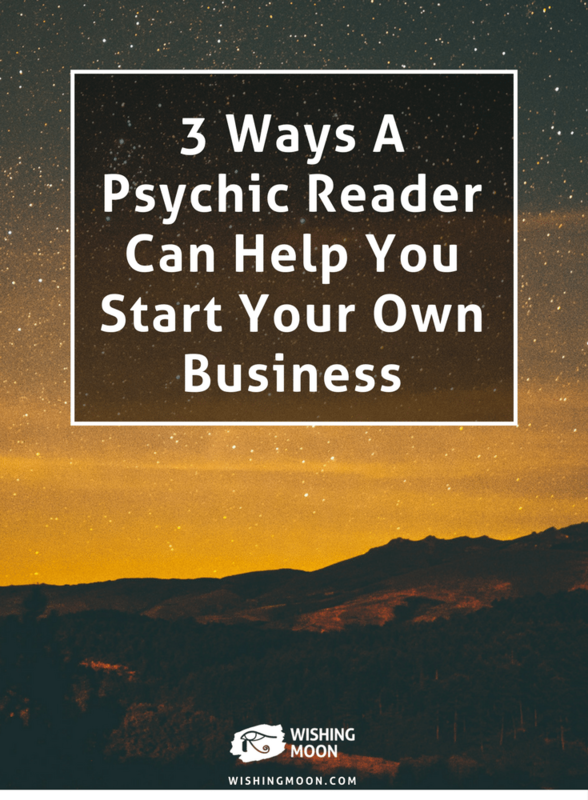 Here are 3 ways a psychic can help you start your own business and thrive in your chosen area. If you’re new to the world of business, you may be feeling a little apprehensive and scared. If you’re spending more time listing reasons why you business will fail than you are spending actually working on your idea, you’re never going to achieve your goals. Confidence is crucial and this is where a psychic can come in useful. Your psychic will give you the encouragement and reassurance you need to take the leap of faith and pursue your idea. A gifted psychic will be understanding and sympathetic to your concerns before using their wisdom to help you improve your confidence. During your reading, your psychic will use their skills to determine your strengths and weaknesses. They’ll highlight your best qualities while forcing you to also acknowledge the areas you need to work on. None of us are perfect but by identifying your shortcomings, you can put plans in place to resolve the situation. After your reading, perhaps you’ll decide to take out an educational book from the library, invest in an online course, or even pay someone else to manage the aspects of your business you can’t. Unfortunately, your psychic won’t be able to tell you whether your business will be a great success or monumental flop. This is because although your psychic can give you a reading that’s relevant to the present you, they have no way of knowing how you’ll behave in future. After all, you’re the only one who’s in control of you! Today, you may be someone who is fully capable of running a successful business, but in a few months time you may ‘go off the rails’ and behave in a reckless way that hinders your company. Your psychic reader also has no way of knowing how other people’s behaviour can affect you. You could do everything right only for someone else to throw a spanner in the works and throw your plans off course. There’s no way of knowing whether things will work out unless you jump in and give it a try. However, a gifted psychic could give you a glimpse into your future and equip you with the motivation required to thrive in your chosen area. Remember to ask plenty of open questions. Instead of saying “Will my business succeed?” ask “What do I need to do to make the most of this business opportunity?” The power is in your hands.